2018 Freedom Fund Dinner Tickets Available! 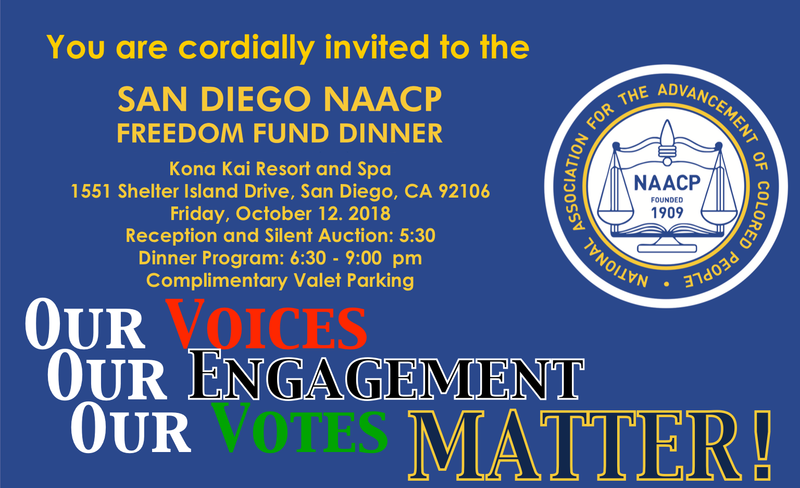 We are pleased to announce that tickets, sponsorships, and advertisements are now on sale for the NAACP San Diego 2018 Freedom Fund Dinner. Individual tickets are available at a discounted price until September 21st; get yours now! Visit our Freedom Fund Dinner page for details and to order.